I love listening to music, as I workout in the gym or when I am on my early morning walk or while dabbling in my potted garden. I like the sound of music in my ears, and a good headphone is the best gadget for me at these times. The problem is that most earphones that come as free accessories with the 'very' expensive smartphone, are nothing but garbage. Call it good taste, or what you may, but I prefer something better when I plug into my music. 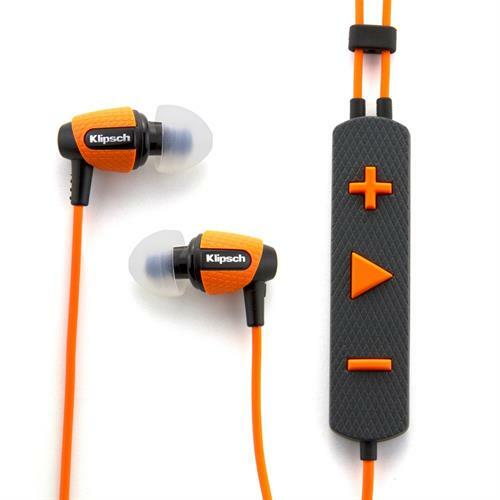 The Klipsch Image S4i Rugged is selling at Amazon India at Rs. 6238, with free delivery. Though, if you look around you may find it selling for less than that at other ecommerce retail stores. It is a good price for a headphone which can best be described as durable and hard-wearing. It is an ideal work-out buddy; it comes with an inline-control box which allows you to easily manipulate the music streaming in without having to look down each time. This particular asset works well particularly when you are working out in the gym or doing things that need your concentration. It is also sweat resistant which is what you need a headphone to be when you are sweating it out, like a pig! The icing on the cake of course is the sound quality, which is incredible. The all-weather virtually indestructible headphones come in a choice of colours; pick from red, yellow, blue, orange and more. If budget is not a constraint, which it should not be if you want only the best then the Shrue SE 215 is worth more than a look. Buy it at Flipkart at a reduced price of Rs. 8,419. 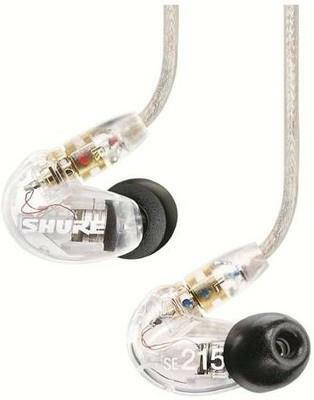 The Shure makes it to the list because of its pleasant-to-the-ears, bass-led sound. If that does not impress you then this should – it comes with a removable cable that is armoured with Kevlar; yes the same Kevlar that bulletproof vests are made of. And of course there are the foam tips on the ear buds that offer excellent sound isolation. The Skullcandy Crusher Over Ear Multicolour Headphones with Mic is available at Snapdeal for Rs.5,320. There is good reason why is this headset being recommended. It offers the most bass at this price and has a built-in amplifier. This is the headphone you want if you are looking for that something extra with the sound effects, especially when you are watching movies or playing video games. The loud thumps will have adrenaline pumping through your blood stream and have you enjoy your games and movies some more. Selling at a little under Rs.7,000 at Snapdeal is this headphone from the electronic giant Sony. The name should be enough for the brand conscious to make it a good buy, but for those who look at features as well as the brand name the Sony MDR-XB900 holds its own. The exterior is quite impressive; it's got a sleek design and folds smartly, making it easy to carry. The serrated cord is such a delight, as it remains tangle-free. Sony provides special seamless, pressure relieving earpads and ultra soft head cushions for added comfort. Additionally the supra-aural headphones key features include 3000 mW of Max Power Input and 3 Hz - 28000 Hz Headphone Frequency Response. Are they a good buy? The ear cups can be uncomfortable if the headphones are worn continuously for long hours; but then no one does that, so yes they are a good enough buy. Despite this being a relatively inexpensive headphone; it features among the best. This sub 4,000 headphone offers crystal clear sound with tight bass. Definitely, a must have if budget is a constraint. Price at under 3thousand, the JBL J22i is a good headphone considering you get great sound and bass and noise isolation. The flat cables are an added advantage as they remain tangle free. Another headphone in the under 3 thousand range the Sennheiser is not a bad bargain for those wanting quality at a cheap price. It is light weight and does not cause discomfort even when worn for long durations. The Sennheiser's HD 203 is not top of the block, yet you can expect clear sound and good bass. A Bluetooth headset with exceptional sound quality and decent battery life is the best way to describe the Motorola Hint. That it is also small and comfortable are an added advantage. Major Ecommerce retailers are selling it for less than 6 thousand. You get some amazing features at this price – Roughly 360 minutes of talk time on a full charge, LED status indicators, and voice command feature. The Find My Headset app by Plantronics never lets you search for your headset. The headset pings, making it easier to locate under piles of clothes or cushions. The above headphones are among the best in the under 10 thousand price range. In this article everyone can reads the review for choosing the best gadgets for boys. Even people come to know about the best product for buying in the year of 2013. Great deal of exemplary quality headphones are becoming our constant partners. Gone are the days when we used the headphones that came with our handset package. Add to it the wide range of products available! We are heading into a technology driven society.